DraftKings has argued that daily fantasy sports are no more games of chance than dog shows or spelling bees after filing an appeal against the New York court which ruled that such contests should not be allowed in the state. Having been popular in New York for the best part of ten years, fantasy sports betting came under the spotlight in late 2015 but leading operators DraftKings and FanDuel insist there is no case to answer. The campaign to stop DraftKings and FanDuel from offering their services in New York was led by Attorney General Eric T. Schneiderman, and in December the debate stepped up a gear as a court ruled that the sites should be barred from accepting players from the state. A temporary reprieve allowed them to keep running limited games, and a legal document has now been filed in the New York State Appellate Court to try and ensure fantasy sports can remain in place permanently. Traditional fantasy sports competitions, which last several months over the course of a season, do not face any opposition and DraftKings maintains that daily contests work in the same way, with customers simply paying ‘entrance fees’. It is claimed in the appeal filing that attempts to make daily contests illegal would effectively ‘criminalize’ other events such as bass fishing or yachting tournaments where the outcomes can be influenced by random factors even when the key aspect is skill rather than luck. While a spokesman for Schneiderman insisted that he was still optimistic that he could demonstrate to the Appellate Division that fantasy sports should be banned, just like he had to the trial court, other states are taking a different view. 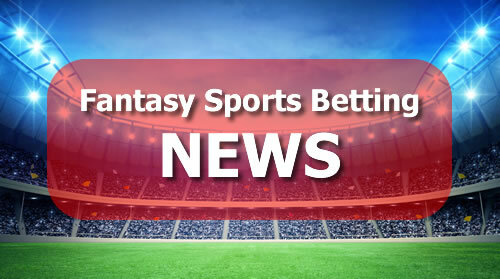 Reports suggest that Virginia could be set to become the first state to legalize fantasy sports betting, as the industry continues to work hard to implement a regulatory framework which will satisfy the sceptics.